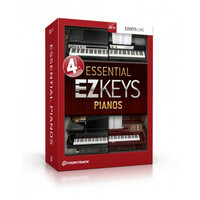 The EZKeys Sound Expansion allows people who already own either EZKeys Upright Piano or the EZKeys Grand Piano to purchase the sound library of an additional EZKeys version at a discounted price. 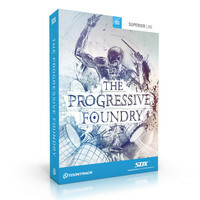 The Toontrack SDX Progressive Foundry is a high quality expansion pack for Superior Drummer 2.0 offering an incredible 63 GB of raw unprocessed drum sounds. The Progressive Foundry SDX pack comprises 5 complete kits 17 snare drums 9 kicks 31 cymbals and 5 hi-hats all meticulously recorded at the renowned Sing Sing Recording Studios in Melbourne Australia. 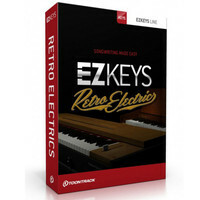 The EZkeys Retro Electric virtual instrument by Toonrack is a revolutionary plug-in and stand alone instrument that acts as a world class piano player song-writing partner arranger and sampled instrument all in one. The ground-breaking functionality allows unlimited creative options whether you are a beginner or a seasoned studio pro. 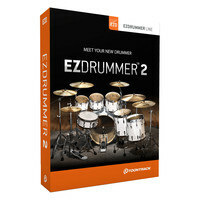 The Toontrack EZ Drummer 2 Plug-In is an incredibly powerful and versatile virtual instrument that builds on its predecessor (EZ Drummer) to provide realistic sounding drums for a range of music styles with the incorporation of innovative new GUIs and presets. 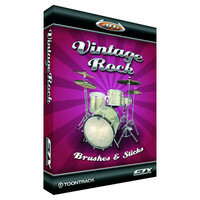 Featuring switchable kits/components all professionally captured with a variety of modern and vintage gear this fantastic sounding collection of drums allows extremely authentic drum programming with multi-velocity samples and a huge range of dynamics to ensure a realistic human feel and create mix ready MIDI drum tracks. Please note: This software comes in the form of a download code and requires a reliable and adequate internet connection to successfully download to you computer. 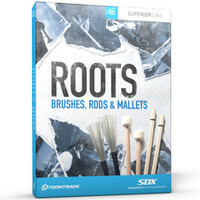 Toontracks Roots Brushes Rods & Mallets expansion started out as a project to capture the perfect jazz drum library but what Toontrack got instead wasnt the definition or a genre but the definition of an era. An era spanning many genres from Rock and Blues to Jazz and Hip Hop. 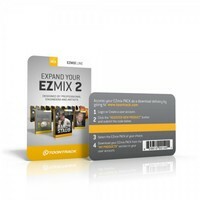 Download the EZmix 2 Preset Pack of your choice using this download card. EZmix 2 is the preset-powered multi-effect mixing tool introducing a whole new approach to mixing music – efficiently quickly and with professional results. 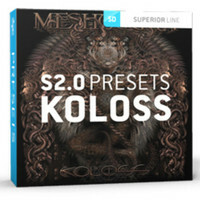 The Superior Drummer Koloss Preset Pack by Toontrack will provide you with the powerful drum presets created by Daniel Bergstrand as featured on Meshuggahs “Koloss” album as well as several other Meshuggah records. 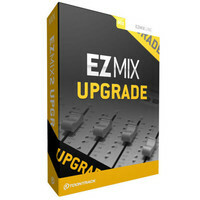 The EZmix 2 Upgrade is an upgrade from the original EZMix software to the full EZMix 2 software taking you into the new era of all in one mixing technology. Testament Megadeth Arch Enemy Exodus Killswitch Engage and Devildriver all worked with the same man to complete their albums: Britains Andy Sneap. This highly in-demand producer/engineer has worked on numerous Grammy Award-nominated albums is known worldwide for having produced some of the heaviest releases this last decade and has had an instrumental role in shaping the sound of metal music as we know it in the new millennium. 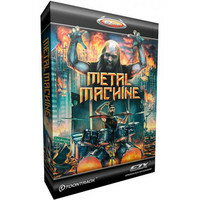 Now Toontrack is proud to present the first ever drum sample library to bear his unmistakable seal; Metal Machine EZX. 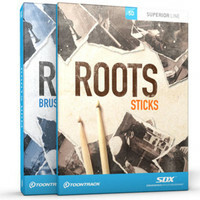 The Roots Bundle by Toontrack combines the 2 packs in the Roots SDX collection the Roots: Sticks and the Roots: Brushes Rods & Mallets into 1 convenient package that includes over 64 GB of unprocessed and superbly recorded drums. The bundle offers a range of alternate tools that provide you with enough options to keep you music fresh and up to date in the future. 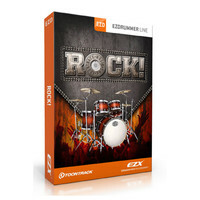 The Vintage Rock Brushes and Sticks EZX contains recordings of the legendary Ludwig Keystone Drum Set giving you access to the classic sounds of the 60s. 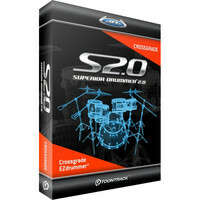 Special crossgrade version for registered EZ Drummer users – only for registered users of EZ Drummer. Save up to 50% until 31st January 2013 normal price 126. Toontracks Rock! 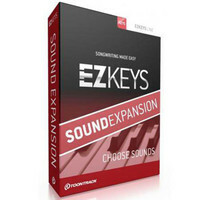 EZX is their biggest expansion pack to date with 8 custom drum kits. 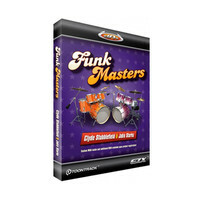 The Funkmasters EZX for EZdrummer is a unique and exclusive recording of two of the most important drummers in popular music. Clyde Stubblefield and John Jabo Starks.